Click here for our current cannabis menus for our Gold Hill location with info on our cannabis products and other bulk herbs. Directions: Exit 40 off I-5 follow signs into Gold Hill. 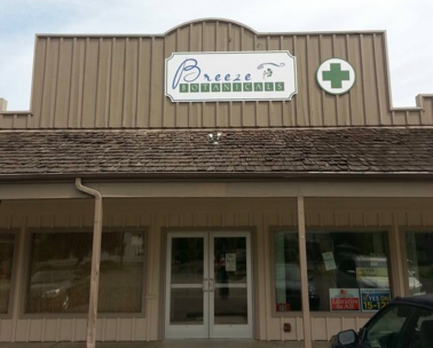 Breeze is the third business on the right after the bridge - next to Dollar General, in the same building as the post office.